Pewter antiques are popular due to their limited availability and supply. 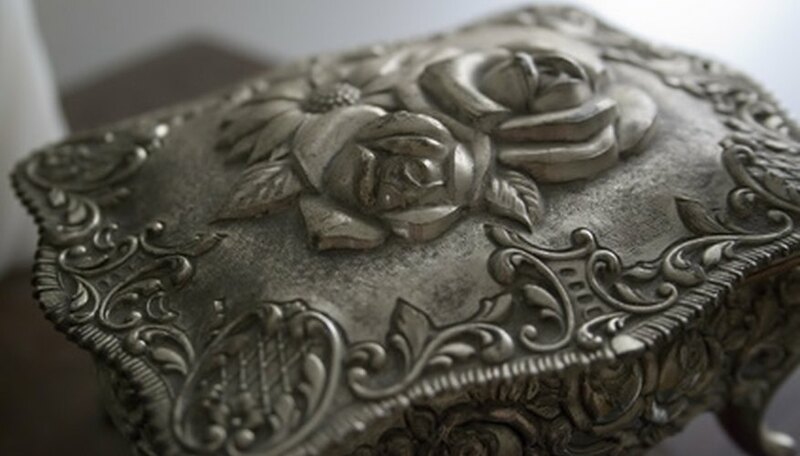 Because pewter is such a soft metal, it was commonly melted and recast when a piece was looking worn or beat up over time, adding to the scarcity of antique pewter items. The markings on British pewter can be easily identified, but more often than not pewter pieces are not marked distinctly with a number or stamp. This makes the pieces more difficult to identify by marking and more easily examined by testing the surface. Inspect the piece for markings or stamps. Most pewter does not have markings, but if it does, the mark will list the pewterer, pseudo-hallmark, touchmark, quality mark, label and/or catalog number. Test the item. Silver is much shinier and brighter than pewter, but you can also test it to be certain. Take French's mustard and apply a small amount to the object. Expose the area to heat, such as a lighter. If the metal turns black from the high sulfur content of the mustard, it is silver, not pewter. (This mark is easily removed with vinegar.) Be very quick with your heat exposure, though, as pewter is easily melted. Inspect the surface of the metal closely. If small pock marks are present, the object is pewter. If it is smooth, odds are it is not real pewter. Assess the item's sturdiness. Pewter is a heavy metal, but also easily bent and dented. If the metal seems immovable, it is not real pewter. Inspect the surface of the object. Pewter is not overly shiny, but not flat and dull like tin. If you are unsure of a piece's authenticity, most antique dealers can easily identify which pieces are real pewter and which are made from very similar metal mixtures such as Britannia. Some pewter contains varying levels of lead, so keep it away from children.